To commemorate this year’s Art Basel extravaganza, in Miami, it’s appropriate to present my Wynwood Perspectives collection of abstract photography. Wynwood, the industrial Miami neighborhood turned internationally-recognized art district, well-known for its display of visual art – on virtually every available wall, door and surface – presented a compelling subject for my particular style of abstract photography. I’ve been using reflection as a central element in my work since I began exploring abstract photography in my teens, so the idea of reflecting murals and street art against the storefront of the creative shops and galleries posed a great opportunity, but not without its challenges. I’ve learned over the years that reflections that include people or vehicles tend to compromise my vision. In order to overcome this problem, I found myself venturing to Wynwood at sunrise on Sunday mornings, when I could be certain the streets would be bare. Wynwood does not wake up early. 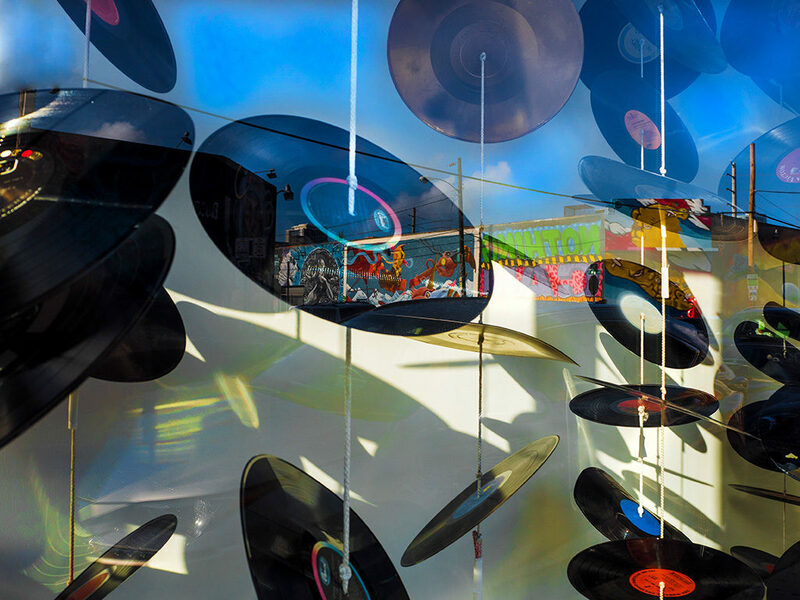 The result is a series of ten unique, vibrant and dramatic images that reflect the very visual personality of Wynwood Art District. All images are available in a variety of sizes and mountings, as well as signed and numbered limited edition prints. 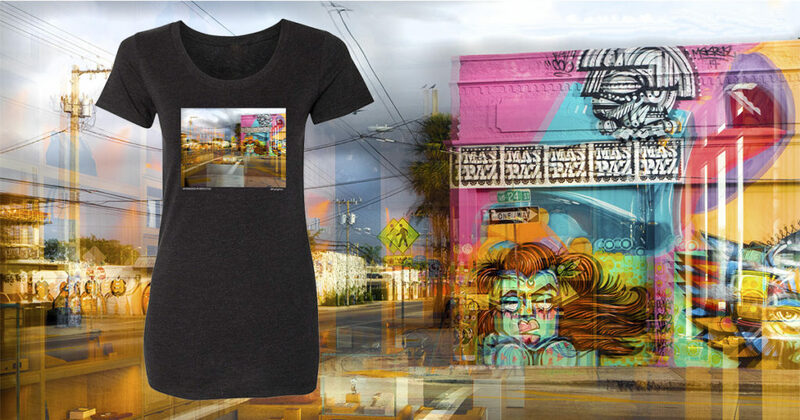 In addition to my Wynwood wall art, with my Flash-G Apparel line of wearable art, we’re offering a few Wynwood Perspectives images as fine art tees, along with my tees from my other collections. 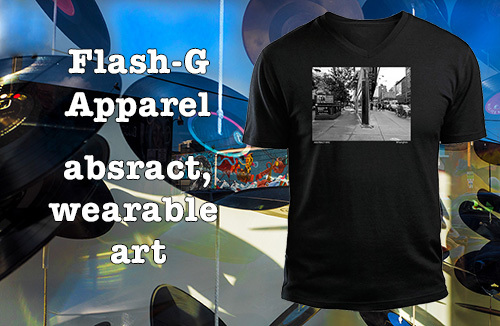 I invite you to take a look at the new Flash-G Apparel website. With the holidays approaching, this is an ideal gift for any art+fashion lover. We have Unisex tees, Tees for Gals, and Tees for Tots. So no one is left out! Orders for Christmas delivery must be placed by December 10. And use code ‘love20’ at checkout to save $20 per shirt. And feel free to share the site if you think your friends might appreciate the work.